Playbox Wheat Paste is made from real wheat and contains no preservatives. It's perfect for making papier mâché, or for any project that calls for paper paste. It mixes easily, and it's non-toxic and non-staining. 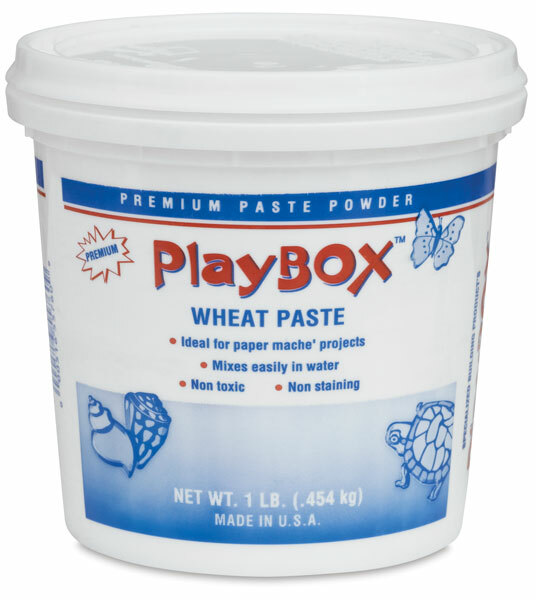 Shipped in a powder form, Playbox Wheat Paste has a long shelf life when stored dry. Users should only mix enough paste for the project at hand, however, since the wet paste will spoil if not used immediately.  Playbox is a trademark.